Actually, his name is Wreford. He's a Russian dwarf hamster and he's all mine. Last Friday, we went to the pet shop to get some fish related product (Dave's babies) and whilst there I came across this little fella. I've come across a lot of cute creatures like this in my time but for some reason, that night, I actually felt like I wanted to care for one. Dave seemed quite keen on the idea but I decided to think it over - and went back for him the next day. 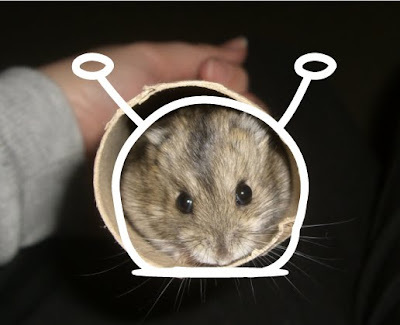 but does most of his real living in his mini hamster ball. Wreford has pretty much consumed my life this week - but in a good way. We've been getting to know each other and I've been researching all I can about caring for him. 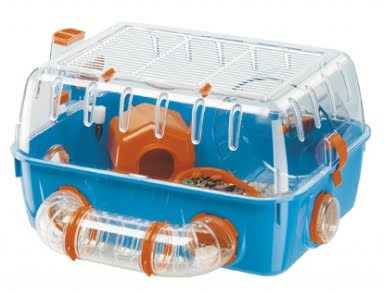 My very first pet was a hamster I named Cocoa. I loved him, I loved the scent of the wood chips, I loved his soft fur, he was my BFF. I may have to blog about this today. Thanks for the inspiration.